Treat your little smallest guests to an arched haven in this white L.A. Baby 24" x 38" Deluxe Arched Mini-Crib with 3" mattress. It features four-4" heavy duty casters, two of which are locking for added safety. Each caster is equipped with a blue foam bumper to protect furniture and walls during transportation. This L.A. Baby Deluxe Arched Mini-Crib meets ASTM non-full size crib regulations, and its 3" mattress meets federal flammability standards. To clean, simply wash its durable non-toxic finish with soap and warm water. This product complies and/or passes consumer product safety requirements, and has been deemed safe for use by the Consumer Product Safety Commission (CPSC). 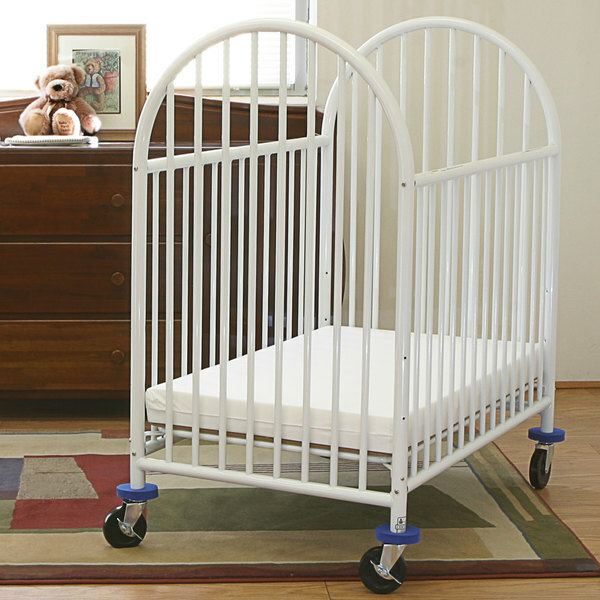 The durability and easy cleanliness of this crib is great, thick mattress, along with its compact size- I own a childcare and I have concerns with the safety of this crib compared to a porta crib. I have a 9 month old in my care who is almost too tall for this crib at its lowest setting and today his leg was caught in the bars at his thigh. This crib meets or exceed the mattress and suffocation issues but the other two mentioned issues should be addresssed. I would not recommend leaving a child sleep in a separate room unattended fully in this crib. The LA. 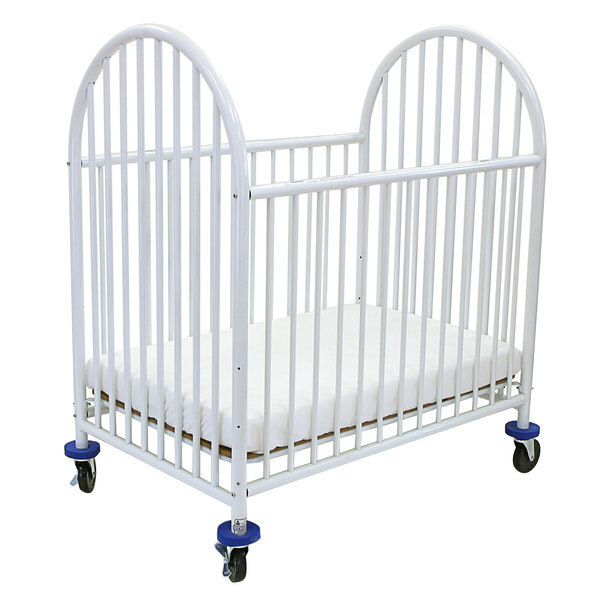 Baby 24' x 38' White Delux Arched Mini - Crib with 3" Mattress. It folds for easy storage, and has 4 caster wheels for moving with lock positions. Great for grand parents to have one. 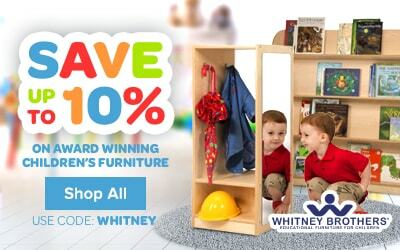 We bought some of these for our day care. They are very well made, and really look great. Easy to wipe down, and best of all you can buy your sheets right here to.